In Zhang Yimou’s orgiastic film, love isn’t so much a fabulous extension of history as it is a colorful off-shoot. 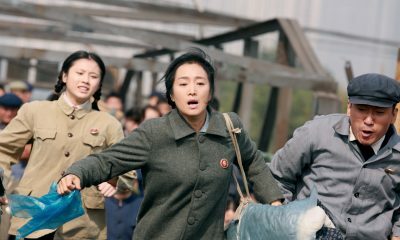 Color is an evocation of social and emotional unrest in Zhang Yimou’s films, and though the vigor of Hero and, now, House of Flying Daggers may be different from that of the director’s earlier works, both films tread political ground that should be familiar to fans of the director’s work. In the orgiastic Flying Daggers, love isn’t so much a fabulous extension of history as it is a colorful off-shoot. 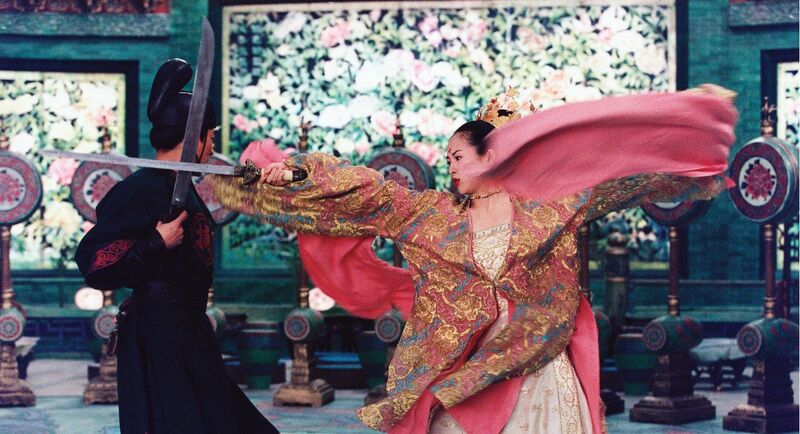 Set in the 9th century during the tail-end of the Tang Dynasty, the film concerns the exploits of two deputies, Jin (Takeshi Kaneshiro) and Leo (Andy Lau), sent by the state to infiltrate a guerilla group known as the House of Flying Daggers by winning the graces of a blind girl, Mei (Zhang Ziyi), who may be one of its members. The trio meets for the first time inside a brothel, where Mei seduces the men with a show of female force that hinges on a rhythmic spectacle of flying cloth, beating drums, jumping beans, and CGI swordplay. This irrational spectacle of near-silent warfare is absurdly but fabulously Zen, and it carries over to a jealously greened bamboo forest and fields of barley where alliances are as fickle as the seasons. Most films are lucky if they have one showstopper—Flying Dagger has at least 20. The film’s mix of swooning romance and ambiguous politics evokes Shakespeare, but its actual sweep is quintessential Zhang. Loyalties and betrayals are deftly coded into the way daggers, pieces of bamboo, and drops of blood soar through the air and meet their targets. Like Hero, the plot isn’t so much intricate as it is intricately politicized by its perpetually flying people and the objects that work as belief-suspending (or is it belief-enhancing?) extensions of the human body. It’s this connection between the body, the mind, and the world outside that makes the film as powerful (at least on a visceral level), though not powerful enough to transcend the gynophobic way the film’s actors (and Zhang) treat Ziyi’s Mei. 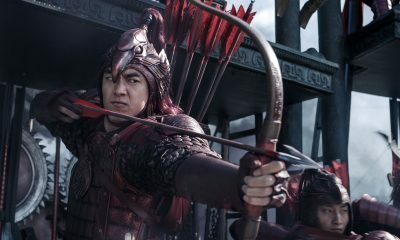 The film’s CGI sometimes borders on the overbearing, and if Chinese history in the film is almost beside the point, that’s because Zhang’s latest performance art is truly less concerned with the politics of a country than it is with the politics of the human heart. In this way, the film is heart-stopping but not mind-blowing.